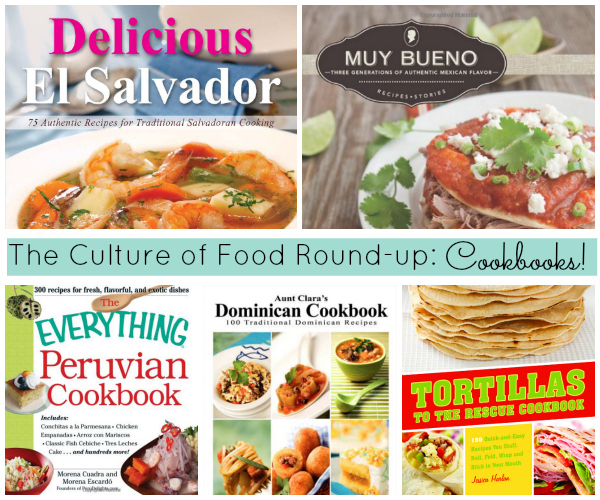 This time around we want to share some of our favorite cookbooks by some of our favorite blogueras ! These books are filled with delicious traditional recipes. Check out the books below and learn a little about the authors and blogueras behind these books. 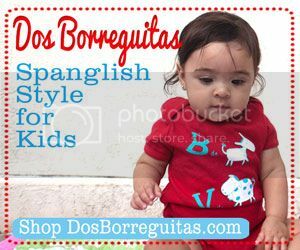 Most SpanglishBaby readers are already familiar with Morena Cuadra and Morena Escardo, the mother-daughter team behind the blog Peru Delights. 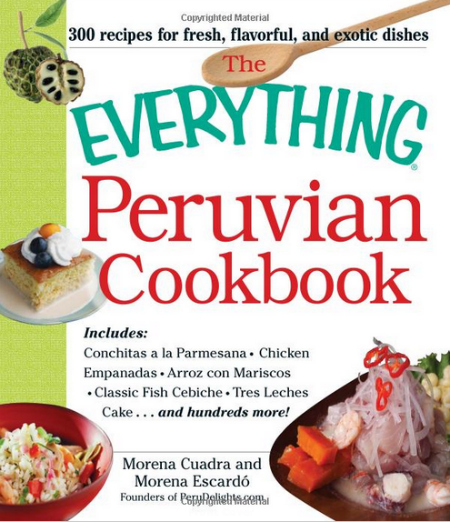 “The Everything Peruvian Cookbook” includes 300 vibrant flavorful recipes from one of the most delicious cuisines in the world! The book is now available for pre-order on Amazon. “Aunt Clara’s Dominican Cookbook” was written by Clara Gonzales of the Dominican Cooking Blog . Clara started her blog in 2001 and published her book in 2005. 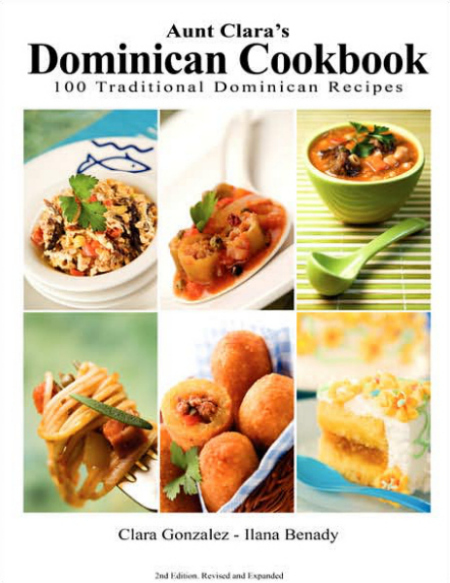 This is the second edition of her book and it includes 100 tasty and traditional Dominican recipes. You can purchase it here. 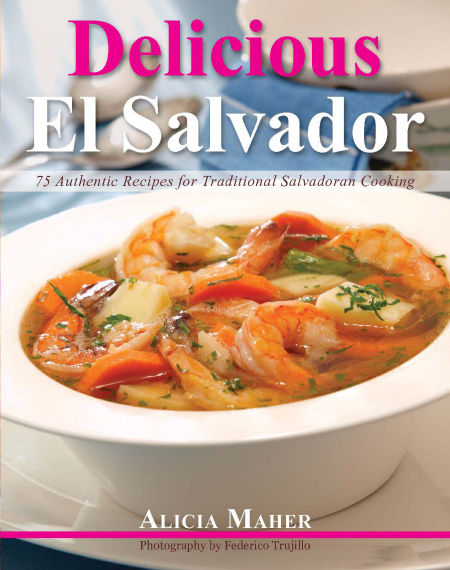 Alicia Maher is the author behind the “Delicious El Salvador” cookbook and Delicious El Salvador blog. 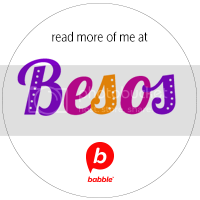 You can also find some of her delicious recipes here on SpanglishBaby. Alicia wanted to preserve the recipes that were passed down to her by her family. Her book includes 75 recipes and is available for purchase here. 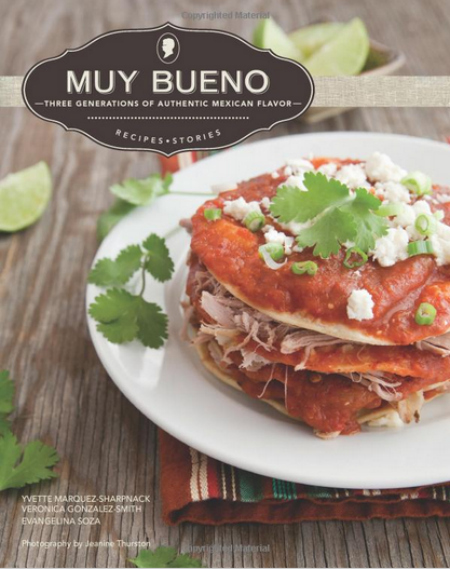 “Muy Bueno Cookbook” and the Muy Bueno blog is the collaboration between three generations of women. Together they created this beutiful book which features over 100 recipes and three generations of authentic Mexican dishes. You will find traditional northern Mexican recipes from Jesusita, south of the border dishes from Evangelina, and Latin fusion recipes from Yvette and Veronica. All are tied together with stunning images and stories. You can order the book here. Jessica Harlan’s passion for cooking led to her writing the Tortillas To The Rescue Cookbook. You’ll be surprised at the creativity behind this book because Jessica goes beyond traditional recipes with tortillas. 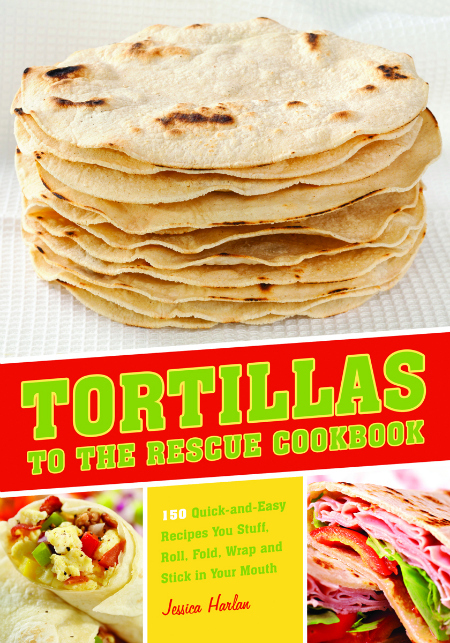 In the book you can find 150 quick recipes with tortillas that even cover dessert ! You can purchase the book here. Dear friends, we are so honored to be part of this roundup. Thank you so much for the lovely words about The Everything Peruvian Cookbook. We already have most of the cookbooks and all of them are amazing. 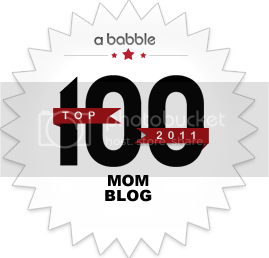 Thank you so much for mentioning our baby, our cookbook on your blog. We have enjoyed sharing several of our family recipes and our stories with others.